The Antarctic and Greenland ice sheets are melting at an accelerating rate, according to a new satellite study funded by NASA. The study has been the longest to date, in relation to changes in polar ice sheet mass. It has been carried out over 18 years. The study has found that ice loss from these ices sheets is overtaking ice loss from Earth’s glaciers, to become the biggest contributor to global sea level rise. This is happening much sooner than model forecasts have previously predicted. The rate at which the polar ice sheets are losing mass was found to be accelerating rapidly. Each year during the study, both ice sheets lost a combined average of 36.3 gigatonnes more than they did the year before. The study combined monthly satellite measurements from 1992 to 2009 with advanced regional atmospheric climate model data to analyze changes in the ice sheets, and trends in the acceleration of ice sheet loss. The study also compared two independent measurement techniques. Both techniques were in agreement. 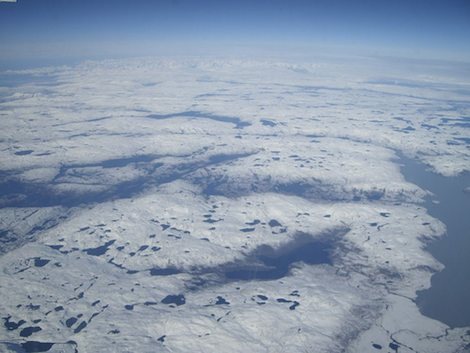 The study found that the Greenland ice sheet is losing mass faster than Antarctica. 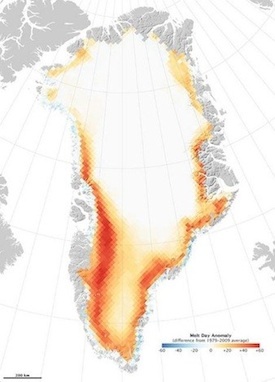 Greenland was losing mass at an average of 21.9 gigatones and year and 14.5 gigatonnes for Antarctica. The study concluded that if current ice sheet loss continues for another 40 years, the cumulative loss could result in a sea level rise of 15 centimeters by 2050. When added to the predicted sea level rise from glacial ice caps and ocean thermal expansion, the total predicted sea level rise comes to 32 centimeters by 2050. The authors of the study have cautioned that significant uncertainties remain in estimating future ice loss and sea level rise. The results of the study are going to be published in the journal Geophysical Research Letters this month. If there is any good news in this, it’s that this is yet another reminder that the world as a whole needs to ramp up efforts to address global climate change as a matter of urgency. Previous post: New Volkswagen All-Electric Bulli Microbus: Yay Or Nay?